Klear Systems is confident there is a software solution that meets all your business needs. There are both out-of-the-box software suites as well as custom programmed systems that are powerful enough to handle enterprise level system requirements. The solutions we provide contain software architecture that facilitates the flow of information among all functions within an enterprise. The end goal is a measureable ROI. We'll work with you to implement a business software solution that fits your business and begins returning benefits from the start. 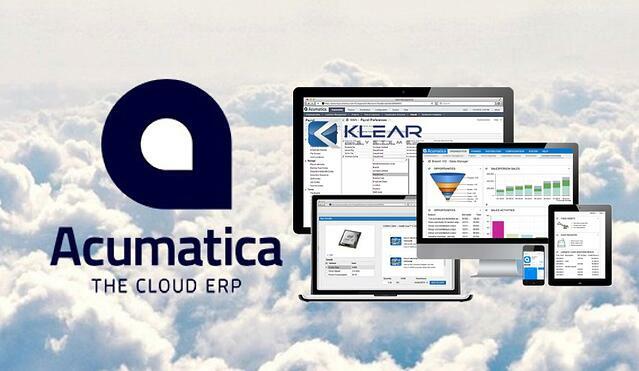 Please explore our solution offerings, including Acumatica Cloud ERP, Sage 100 ERP (MAS 90) and Sage CRM. Contact Us for a Free Needs Assessment!